Only 24 of these made and this one, number 13 of the bunch, was up for grabs on eBay. After 17 bidders went head to head, the dust on this auction settled after 32 bids. The card sold for a staggering $3,561.01 with the winning bid coming in just $10 more than the one behind it in a snipe bid with 9 seconds left. On a side note, there were 3 bidders who were willing to pay over $3,500 for this card. Noticing these kinds of numbers made us take a closer look at some movement on other popular Upper Deck must have autographs. We tweeted about some of them this past week but one of them ended on Monday. 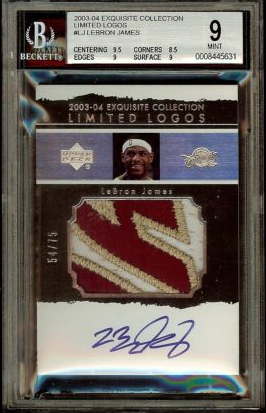 LeBron James, who is still has an exclusive agreement with Upper Deck, commands the attention of Basketball card collectors. He has already cemented his place in history. 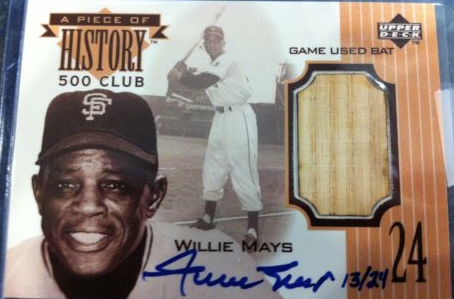 This auction started at $0.01 so it would be a true indication of what value collectors place on this card. 16 bidders placed 22 bids. The card sold for $4,995.00. 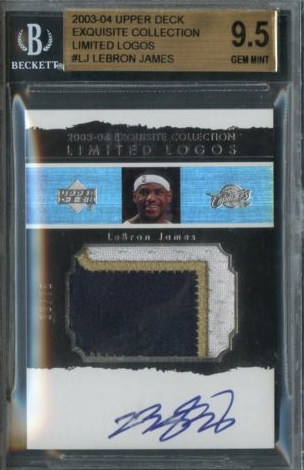 There are some LeBron James auto cards that are within a price range that is obtainable for most collectors. But it will be tough if you are looking to find one from his rookie year. 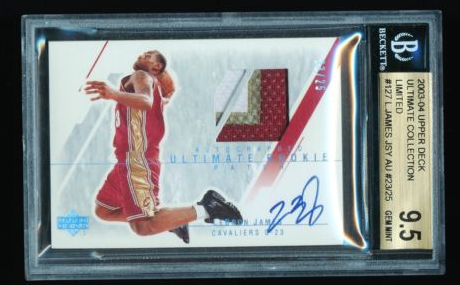 Case in point, this 03-04 UD Exquisite Limited Logos Auto Relic which is #/75. It sold in a BIN listing for $17,500.00. But it is sometimes hard to judge true street value off a card that was instantly purchased. As luck would have it there was this one that was sold a few days later at auction. 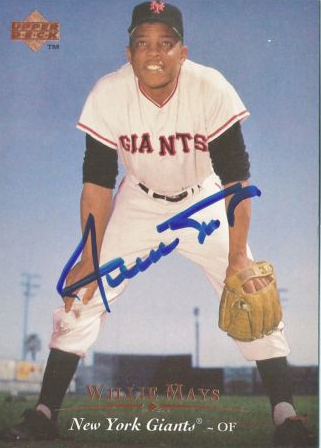 After 43 bids, this card sold for $11,300.00. A bargain compared to the previous sale. 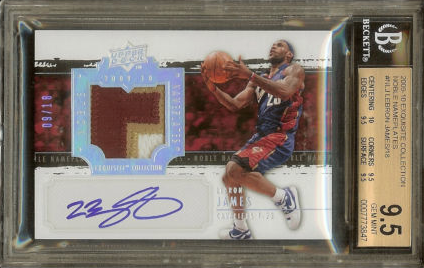 To find more LeBron James Auto cards currently available, like this 2003 Ultimate Collection Limited Auto Relic that will set you back $100K with shipping. click on any of the links above or use this one to find all the James Autograph cards currently available. And that will do it for this week’s Hump Day Hits. Make sure to check back next Wednesday for another installment of Hump Day Hits.